Here is a short little review for Lucis Pro 6.0 plugin for Photoshop. If you have seen my other reviews, you will know that I am short and sweet. I don’t drone on about things to make myself sounds smart about arcane features and that sort of nonsense. If you do want some more details, I did write a very thorough Lucis Pro Tutorial that shows exactly how the product works. Some of the information below is also in my tutorial, but I have just copied and pasted for consistency sake! Before we get started, we should talk about price point. You should note that this a premium-priced product (but the nice lady Barbara that started the company will give you an extra 15% off if you use the Lucis Pro coupon code “STUCKINCUSTOMS” at the end of checkout). To me, the price point is a good thing. Lucis Pro 6.0 (you can click there to visit their site) really does some unique things, and because of its high price point, it keeps many people out of the market. If you want your images to pop more than your competitors, then it is certainly a nice way to go. Another way to look at it is to consider the cost of a good lens which could run you over $1,000, and it would probably not be as flexible as this software! Now here is one thing that some people don’t like. When you order it, they ship you a dongle. What’s a dongle? It’s a small USB dongle that you have to have in your computer whenever you are running the plugin. This really bothers some people… but it does not bother me because I really only edit photos on one computer. If you use multiple computers, you can always get a second dongle. The company claims that this helps fight piracy, but this is a questionable claim. That point is neither here nor there, since the dongle doesn’t really bother me. Oh, also, you don’t need any special drivers… just stick it in a spare USB slot. You may note there is another cheaper product called “LucisArt 3”. 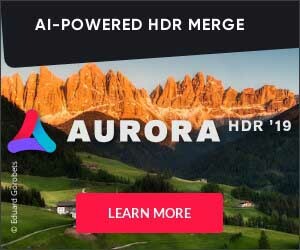 This product I recommend in my HDR Tutorial. Although, really, Lucis Pro 6.0 is a better product. I use it about 80% of the time and use LucisArt 3 about 20% of the time. The program is extremely simple to use. There are only a few sliders. I do highly recommend that you learn to split channels, and this is described in the Lucis Pro Tutorial above. Here are a few images that I made using the program!